Netchef G2 – Android powered device teaches you how to cook efficiently. Are you an aspiring chef? Or maybe, you are just looking for some help to fix yourself a decent meal. There’s definitely an app or even hundreds of apps for that, but using a tablet or a smartphone in the kitchen distracts you from the actual task of cooking. So, how about a device designed specifically for the Chef in you? Meet the Netchef G2 – it’s a heavily skinned android device that comes preloaded with a lot of recipes and other cooking tips. If you want real assistance in the kitchen then you should give this electronic Sous Chef a try. This tabletop Android gadget comes preinstalled with more than 500 cooking recipes. It sports an 8” display with 1024 x 768p resolution, comes with 4GB of Internal storage and also supports external storage up to 32GB via a microSD card slot. The Android OS is custom built for the device and it’s really easy to use for even novice techies. There are 2 built-in speakers for when you want to listen to some tunes while cooking your favorite dish. 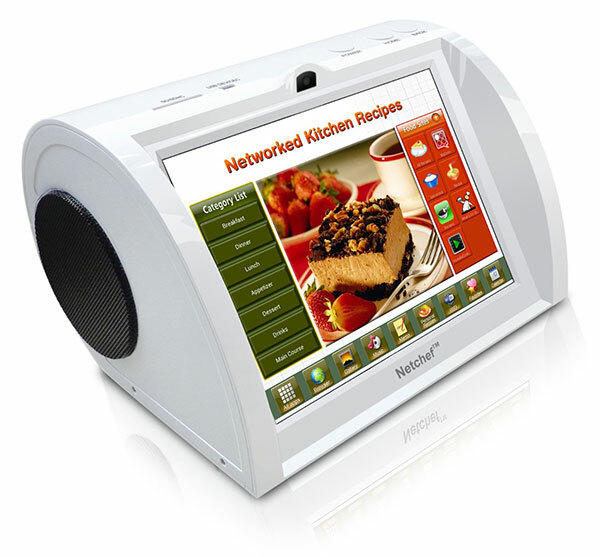 The Netchef G2 is available for $279.99 via Sungale.